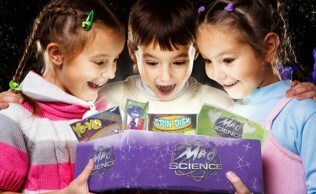 Book both finales–Bubbling Potions and Rocket Launch for any of the packages for only $50 more. Goody Bags available with several of our packages, which include seven additional take home experiments, including Temporary Tattoos, Helix Flier, Soak N’ Grow Creature, Polymer Putty, and more, all packaged in colorful Mad Science shell. All parties include paper invitations mailed to you with your confirmation letter. 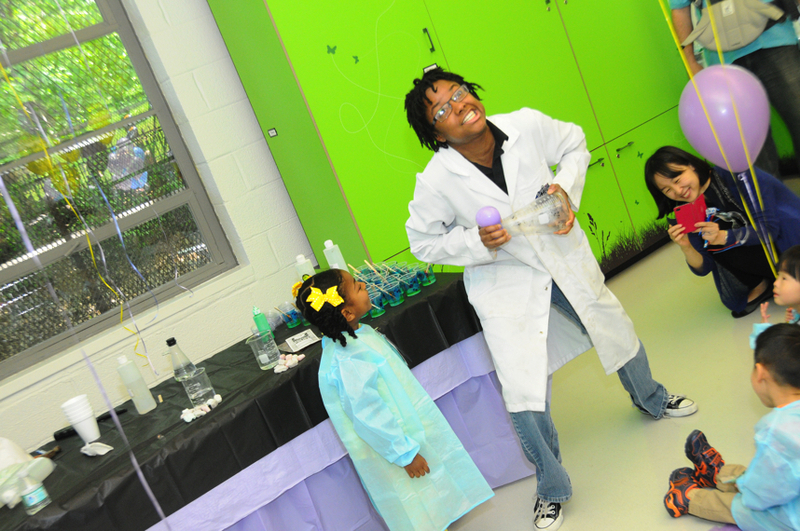 Our Parties last about an hour with all sorts of engaging, hands–on experiments and include things like tornado tubes, electricity experiments, chemical reactions that produce light, air pressure activities, indoor fireworks and tons more great demonstrations. 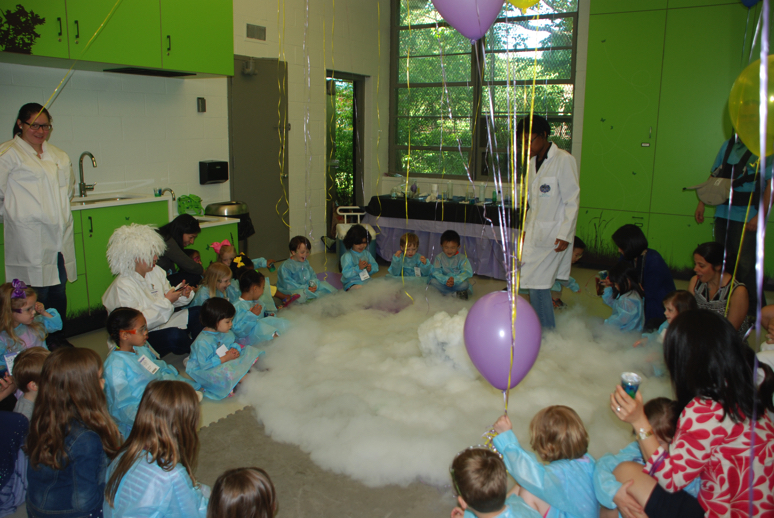 All parties end with your choice of finale (Bubbling Potions or Rocket Launch), and Mad Science Slime-making or Superball-making for every child. 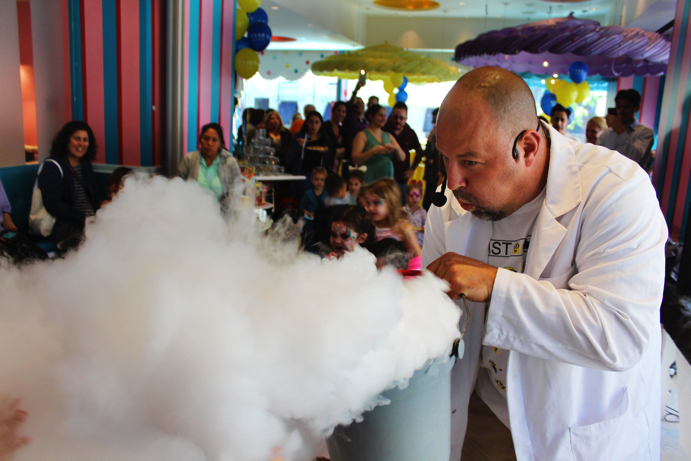 Most of our parties occur at our client’s homes, however if you’re looking for a location to host your Mad Science party, we have numerous suggested locations and partnerships that may offer a great space for your event. Additionally, we have several partnerships set up with places like Applebee’s, 16 Handles, Dylan’s Candy Bar, and Peachwave. We can also work with you to build a custom event designed to fit your event’s needs. Whether you’re planning a party for 5 kids or 500, it’s easy for us. Two mad scientists who arrive 30 minutes prior to the party performance to help set up. 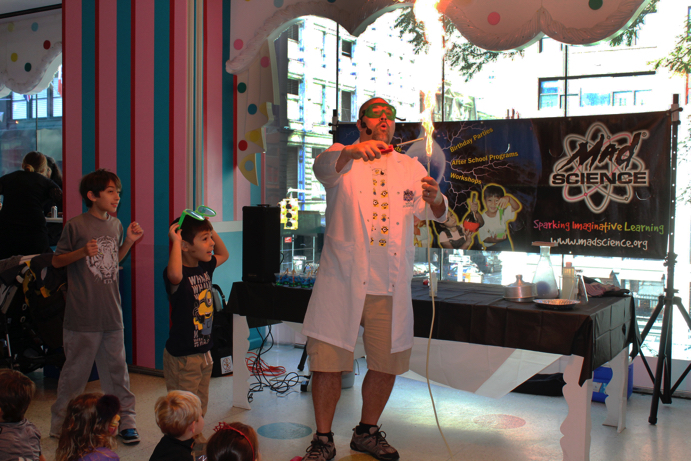 Two hours with one of our top Mad Scientists, including one hour of awesome science demos with a finale of your choice and one additional hour of hands-on help. 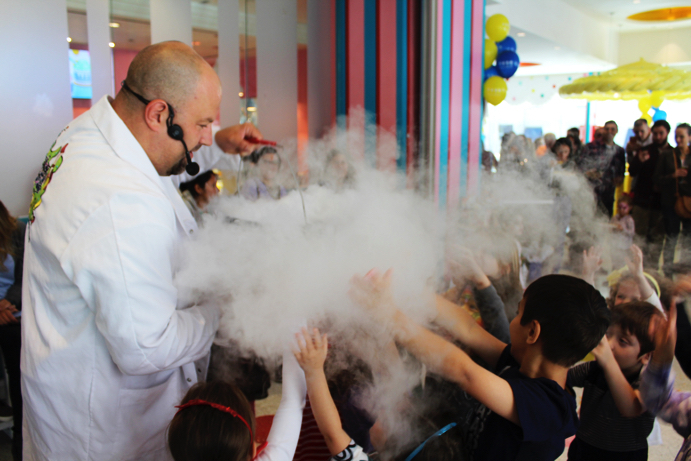 Bubbling Potions: For an extra special Mad Science experiment we will mix up some bubbling potions using dry ice. Witness our most famous elixirs like the Mad Science Bath and the Big Burp. For the grand finale, we’ll fill the room with our creepy low-lying fog, just like in the movies! Rocket Launch: Blast off with this exciting and innovative upgrade! This is no ordinary rocket launch. This fuel powered rocket can blast up to 300 feet-leaving a trail of lasting impressions! This requires an ample outdoor space and therefore is only available in Westchester (outer boroughs at Mad Science’s discretion) Should weather be inclement a $50 credit will be issued and other experiments will be done in lieu of the launch. The SUPER SLIME Package: One-hour Slime Party with Awesome Slimy Demos and Hands-On Slime Making.